Candles have such versatility in a home. The warm glow helps create the popular hygge effect: Hygge, pronounced like “hue-guh,” is basically the Danish concept of coziness. Candles add depth and color to arrangements, and a small flame helps clear out musty odors. They also make great gifts, especially if they've been personalized with a photo. The best part of this easy project is that it's endlessly customizable. You can adhere any picture to suit the candle to a situation. For example, you can make holiday decorations, party or shower decorations and favors, travel souvenirs, anniversary gifts, and unique, personalized gifts for family and friends. 1. The first step is to print the image on tissue paper. In order to do this, cut the tissue paper slightly larger on all sides than the sheet of plain printer paper. Fold the tissue paper over the edges of the plain paper and tape it securely. 2. Print image, making sure it prints on the side with the tissue paper, not the plain paper side. 3. Cut out the image from the tissue paper. 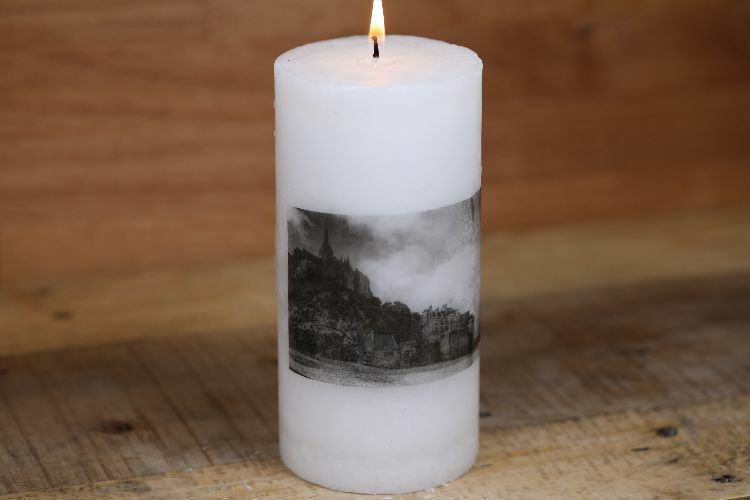 Cut only what you want on the candle; if you want to omit the background, for example, simply snip it out of the image. 4. Place the tissue paper image on the candle, centering it as desired. 5. 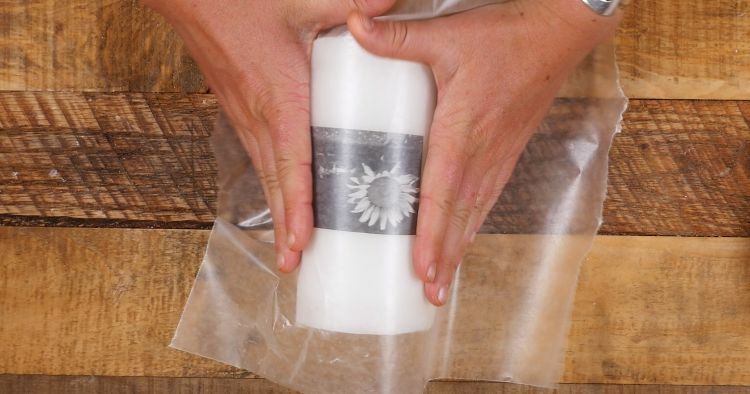 Wrap the candle with a sheet of wax paper, waxy side down. 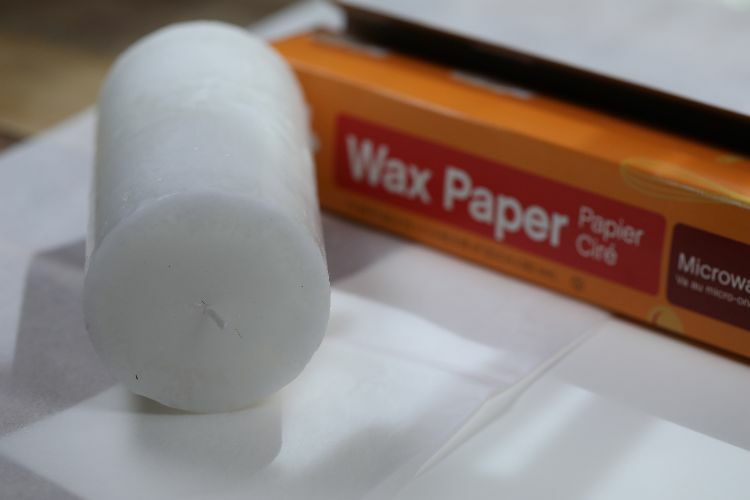 Use the excess wax paper as a grip to hold the pillar securely for the next step. 6. Carefully heat the image with the heat gun or hair dyer, moving the gun evenly across the image. The image will brighten and appear to come through the wax paper, that's the sign it's ready. 7. 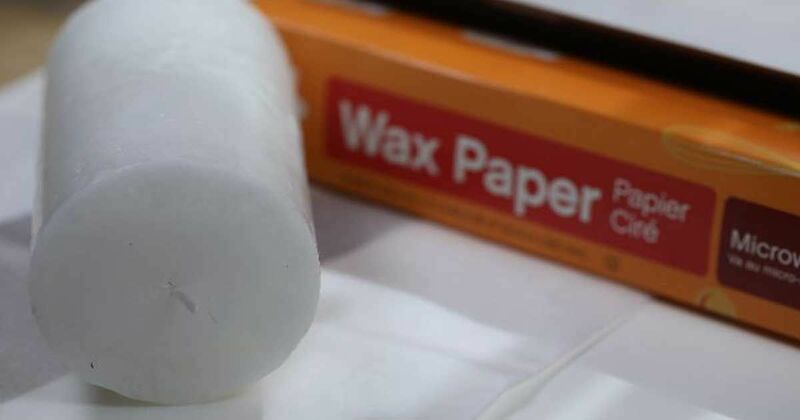 Gently peel the wax paper from the candle. 8. Display, light, or give your candle as a gift. Be sure to share this and your finished product on Facebook.